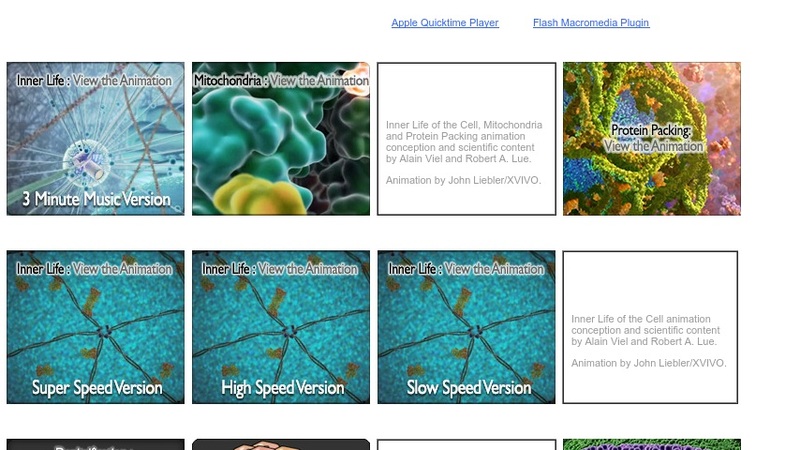 This web page has a series of multimedia videos intended for Biology education. I want to draw attention to the "Inner Life of the Cell" video in particular. It is excellently designed and executed, and it's received widespread attention on the internet and also in traditional news outlets. All three speed options on this page are the full length, narrated videos. Elsewhere on the internet (such as http://www.xvivo.net) you can find a shorter version of this video which is accompanied by music instead of narration.